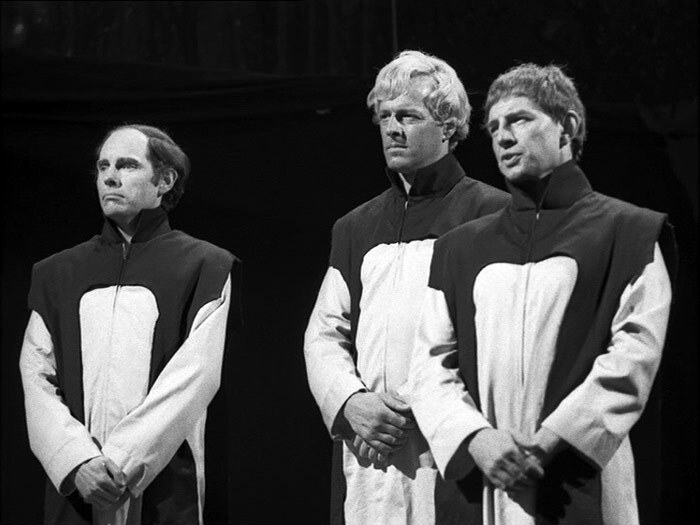 It was only at the close of Doctor Who’s monochrome era in 1969 that the world’s longest running science fiction series gave itself a back-story. Already in its sixth season, and more than five years since An Unearthly Child was first broadcast, Doctor Who had hitherto avoided the continuity consciousness for which it is today so famous. 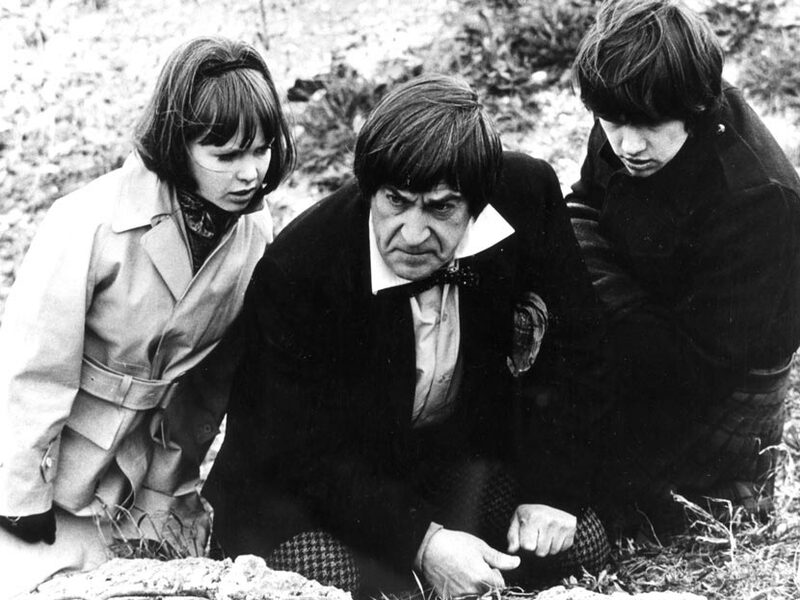 The Second Doctor would never have alluded to his body “wearing a bit thin” as John Hurt’s Doctor did of the First Doctor’s final words in The Day of the Doctor. To be sure, Doctor Who had a history but it was one that was only fleetingly referred to and then to those stories of recent memory only. Hence the Second Doctor famously misheard the word “jetty” for “Yeti” in The Enemy of the World however this allusion was only to a serial broadcast two stories previously, The Abominable Snowmen. The War Games changed Who’s consciousness of its past forever. Never before had a serial borrowed clips from previous serials save for the final episode of The Wheel in Space in which the Doctor projected his thought patterns onto a monitor and the reprise from episode two of The Evil of the Daleks was seen. On that occasion the clip had been shown as a lead-in for the first ever repeat of a serial, the aforementioned The Evil of the Daleks. 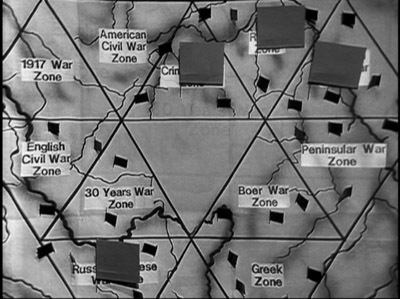 In The War Games, however, stock footage was used as if it was new and previously unseen. 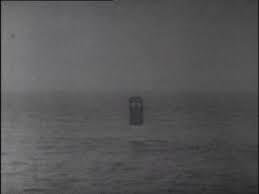 Hence, in the Doctor and his companion’s escape from the Time Lords footage from Fury From the Deep was borrowed as the TARDIS spun to sea-level and from The Web of Fear when the ship was entangled in cobwebs. 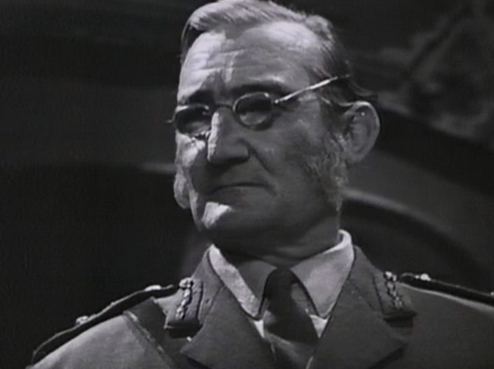 It was fortunate that the Fury clip was borrowed because all of its episodes are missing from the archives. The spinning TARDIS gives fans an all too brief glimpse at what the serial would have looked like. 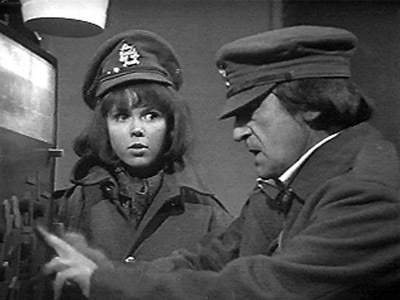 Who stock footage was also utilized in episode 10 of The War Games when, akin to Wheel, the Doctor again reflected his thought patterns to a wall. In this instance it was the benefit of the Time Lords who were provided with details of the monsters the Doctor had recently fought, namely Daleks, Cybermen, Yeti, Ice Warriors and Quarks. 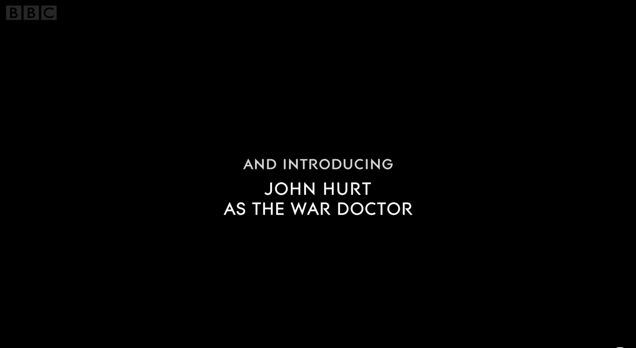 The show’s back-story, however, came with the arrival and naming of the Doctor’s race. Since Doctor Who’s beginnings the Doctor had never been able to control the TARDIS’s steering. It was for that reason that he was unable to return all of the kidnapped soldiers back to their own eras and had need to call in the Time Lords for assistance. Only once previously had the Doctor encountered one of his own and on that occasion his race was not named. 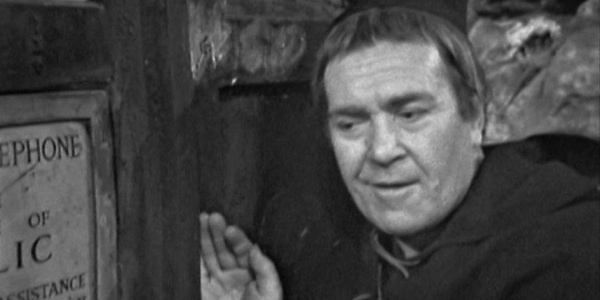 Rather than being dour and judgemental as the Time Lords were, The Monk of Season Three was somewhat of a hapless, albeit amusing, renegade. It was in his renegade status that the Doctor had most in common with The Monk. Jamie incorrectly assumed that the Doctor’s people would be both friendly and supportive of him. Alas, this was not to be as the Doctor was compelled to admit to his companions that he was on the run from the Time Lords. Being bored with the existence of a Time Lord on their unnamed planet he stole a TARDIS and embarked on a life of adventure and inter-planetary interference. Prior to meeting the three Time Lords who were in judgement of him, the Doctor encountered the evil renegade, the War Chief who was in alliance with the War Lords, a humanoid race of beings intent on conquering the galaxy. It was with the War Chief’s expertise that the War Lords’ acquired the ability to time travel in the inferior technology crafts called SIDRATs (TARDIS backwards). The War Chief was a renegade Time Lord who gave the the War Lords the secrets of time travel. He also had the most fabulous beard! Although The War Games is best remembered for its back-story invention, more significantly it is story on the futility of war. The War Lords kill for killing’s sake in a quest to unearth the universe’s best fighting force of soldiers. It is with the best soldiers that the War Lords hope to conquer the galaxy. The wars in each of the zones are as pointless as they are artificial. Victory would be of no effect as the wars are illusory. There are no spoils for the victors to share but rather the (unknown) guarantee of further bloodshed when they are next compelled to battle for the War Lords. Transported from their own time zones to an unnamed world, the soldiers are lost to the society’s from which they came. This is sure to be an analogy for the millions lost to the bloodshed of history’s wars. The War Games is also a tale on judicial injustice. The serial begins and ends with trials in which the rule of law is disregarded. The Kangaroo Court before which the Doctor, Zoe and Jamie appear in the 1917 war zone is bereft of any semblance of truth or integrity. The monocle wearing War Lord Smyth hypnotises all to accept his distorted version of the “truth”. Memories are lost and lies deposited in the minds of Smyth’s subordinates. 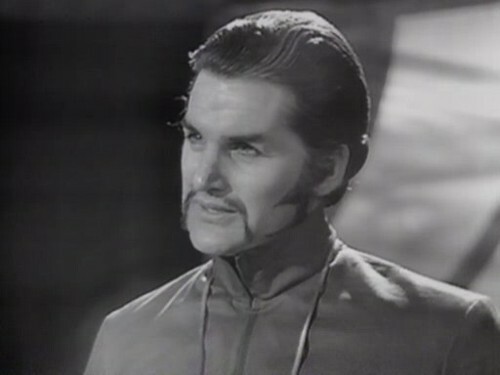 The Doctor is sentenced to death without the benefit of any defence. His imminent dawn execution in episode one is perhaps one of the best cliff hangers in Who’s history. I not only admit them. I am proud of them. While you have been content merely to observe the evil in the galaxy, I have been fighting against it … All these evils I have fought while you have done nothing but observe. True. I am guilty of interference, just as you are guilty of failing to use your great powers to help those in need! Despite his spirited defence the Doctor was nonetheless convicted and his defence taken as a plea in mitigation. Whilst accepting that certain evil in the universe must be fought the Time Lords sentenced him to exile on Earth, a planet to which he had a particular interest. The secret of the TARDIS was to be taken from him and he was to have his appearance changed. The writers of Doctor Who had yet to invent the term “regeneration”. Although the opportunity was initially afforded to the Doctor to choose his appearance, the Time Lords quickly tired of his objections to each and every pencil sketched face offered to him. Seeing this as a refusal to make a decision the Time Lords without further notice made it for the Doctor and propelled him into a circling vortex. Interestingly, he was not charged and compelled to face court on a charge of stealing the TARDIS. Perhaps it was considered a minor offense that might warrant an on the spot fine? It was extraordinarily sad to farewell both Jamie and Zoe in this serial. Zoe quickly became my favourite female companion of the 1960s during my Second Doctor marathon. You can read our 50th Anniversary Countdown piece on Zoe here. I was thrilled to have the opportunity to meet the lovely Wendy Padbury in person during a cigarette break at the Brisbane Lords of Time 2 in December. She was every bit as charming and engaging as I’d imagined. In The War Games Zoe again endeared herself to me by knocking an officer unconscious with a vase and describing the horrendously sexist Mexican resistance leader as having “rather primitive ideas about women knowing their place”. In the end we learn that Donna Noble was not the first Who companion to have their memories of the Doctor wiped. Jamie’s exit was no less traumatic although it was with relief that his last words were his clan’s battle cry, “Creag an Tuire”! Jamie was again in battle mode as an armed redcoat fled. 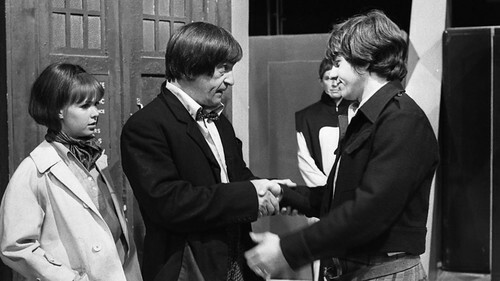 So ends the Second Doctor’s era. Join the Doctor Who Mind Robber as we continue our journey with the Third Doctor!